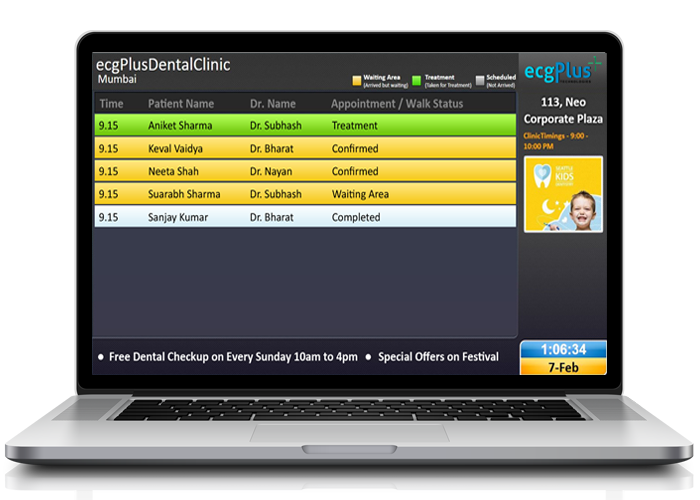 ecgTV+ Waiting Area TV Display Application is an integrated system to display the appointment lists, patients queue, images, videos, testimonials etc. on the TV mounted in the waiting area. This is a multi-functional system which helps you to display the contents that you want to be displayed on the TV. Also it helps in maintaining the queue of the patients in the waiting area.